One of those whacky commonwealth-centric sports that's rarely if ever seen in the Americas. It involves standing in a paddock for five days trying to kill each other with leather balls. When the copyright screen is displayed, press and hold A + Select + Start on the second controller until the copyright screen disappears. The cheat triggering depends on how long you press and hold on these buttons. The whole time from power on to the title screen will take $FA cycles, you need to hold the mentioned combination not less than for $E1 cycles or the cheat won't work. If done right, the sound test will appear instead of the regular title screen. Follow the on-screen instructions to listen to the music (1-24) or samples (25-29). Select "Off" (0) to switch sounds off. Enter the Sound Test mode as described above. Play any sample, then select "Off", and press Select, Select, Select on the second controller. 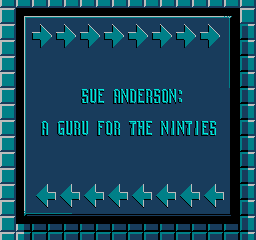 A message saying, "SUE ANDERSON: A GURU FOR THE NINTIES", will appear. Enter the Sound Test mode as described above. Select "Off" and press A ten times, slowly. The title screen music will start playing if you did it right. 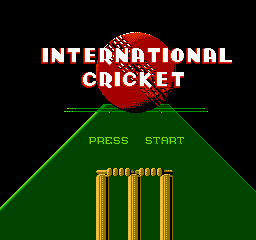 Press Start to return to the title screen and start a new game. 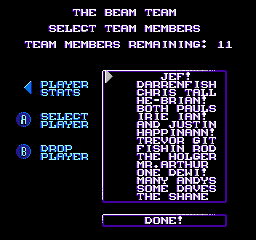 Now move your cursor on the team select to the invisible 9th selection, The Beam Team! 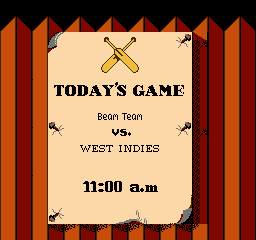 The Beam Team have funny names for players and all the team players are green-skinned, just like real programmers! Enter the Sound Test mode as described above. 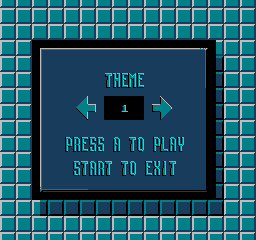 Select Theme 10 in the sound test and press A ten times. If the music stops, you did it right. Press Start to return to the title screen and start a new game. Now you can choose an extra delivery method with a very screwy ball. 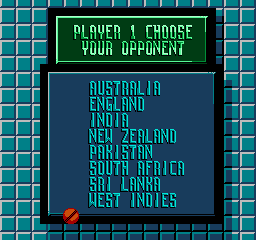 On the delivery selection screen, hold Down to choose "Short" delivery and press A or B to select between a fast or a medium bowler. Instead of a short delivery, you will throw an uncatchable ball. This page was last modified on 27 October 2018, at 15:34.